The Beaumont Bowling club has recently completed several major renovations to our clubrooms to bring our facilities up to a high standard that is required to host multiple events. 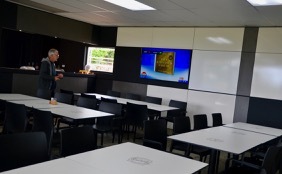 This was the first area of the clubrooms to be renovated where we redesigned the internal layout as well as upgrading all our preparation an cooking facilities. With the help of a grant through the Fund My Neighbourhood programme we were able to completely renovate the men’s, ladies and disability toilets along with the help of one of our Platinum Sponsors, Beltrame Brother Builders. 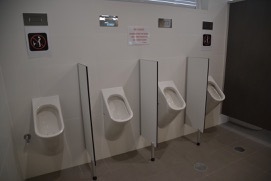 The toilets are now of an ultra modern standard. Again with the help of a grant we have completely modernised our lounge and bar facilities with new paneling, carpets, air conditioning and furniture to bring this area up to one where members can relax in comfort and enjoy the facilities. This is the main dining area used for large functions and meetings. We are in the process of drawing up plans for the final stage of our renovations where Fulton Hall will be brought up to the same standard as our other facilities. This area can currently seat ninety and is ideal for larger functions. We have three greens giving a total of twenty two rinks which can also be hired individually or in conjunction with either the bar, Fulton Hall or both. Loan bowls, equipment and coaching are also available. There are also Bar-B-Que facilities available to add to the greens hire to make for an enjoyable function.